The flooding of their lands. The dumping of mercury into their waters. And the large scale logging of their traditional hunting and trapping territories. The people of Grassy Narrows — an Anishnaabe community in northwest Ontario — depend on the land as basis of their culture and as a continued vital source of foods and plant medicines. But this relationship has been repeatedly threatened and undermined as a the result of government decisions made without their consent, or even adequate consultation. Between 1962 and 1970, a mill in Dryden, Ontario dumped more than 9 metric tons of untreated inorganic mercury into the English and Wabigoon Rivers in Northwestern Ontario. These waters had been a source of both food and jobs for the people of Grassy Narrows and neighbouring First Nations. Community members had worked as guides and as staff in the many commercial fishing lodges. When the mercury dumping was discovered, the commercial fishery was closed, cutting the people off from their most important source of income. It was discovered that many of the residents had greatly elevated levels of mercury in their bodies and were exhibiting signs of the neurological degeneration associated with mercury poisoning. Compensation provided to the communities more than a decade later was based on the assumption that the effects of the mercury contamination would soon go away. That assumption has proven false. Elevated levels of mercury continue to be found in the rivers and fish. And community members, including youth, continue to suffer from disproportionate rates of serious health problems associated with mercury poisoning. Scientists who have compared the lasting impact of the infamous mercury poisoning incident in Minamata, Japan with the situation at Grassy Narrows, have coined the term "Canadian Minamata disease" to describe the health consequences of chronic exposure to mercury levels government officials still insist are safe. To date, there has been no clean up of the river system, no comprehensive assessment of the community's health needs, and no provision of specialized health care for the many who suffer from the devasting effects of mercury poisoning. In February 2017, the long efforts of the people of Grassy Narrows finally led to a promise by the provincial Premier that the river would be cleaned up and that Grassy Narrows would lead the efforts. Giver the long history of broken promises and stalled government action, Grassy Narrows and their supports remain vigilent about whether or not this promise will be fulfilled. After the closure of the commercial fishery, the province began promoting expansion of large-scale industrial logging in the region. The people of Grassy Narrows consider clear-cut logging to be an unacceptable threat to their remaining ability to live off the land, and a key factor in the persistent contamination of their territory. Fortunately, industry has been more responsive to the community's demands. 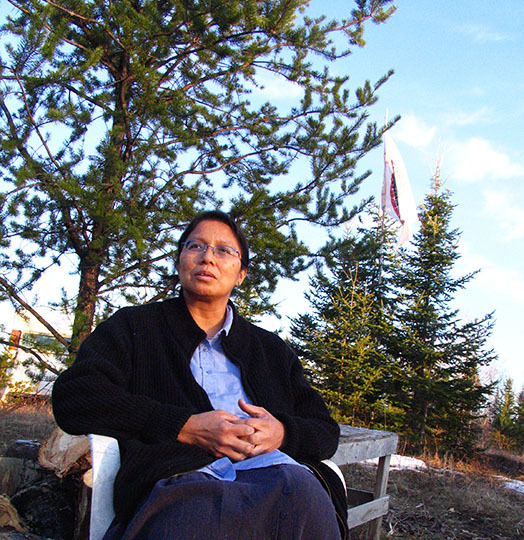 In 2008, the Boise paper company – a major client of AbitibiBowater's Fort Frances mill – announced that it would stop buying pulp from wood logged at Grassy Narrows until the community gave its consent. This brought clear-cut logging to halt at Grassy Narrows. In the decade that has followed, there has been no new large-scale clear-cutting. However, the provincial government continues to include clearcutting at Grassy Narrows in its forest plans. The protecting of Indigenous rights in Canadian law requires a process of good faith consultation and meaningful accommodation of Indigenous concerns whenever government decisions might affect the rights of Indigenous peoples. In some instances, Canadian law, like international human rights standards, requires that no action be taken except with the consent of the affected peoples. Given the harm that has already been done to the people of Grassy Narrows, the precarious situation in which they now live, Amnesty International has urged the provincial government to apply the highest standard of protection to their rights. In a September 2007 briefing paper, Amnesty International urged the province of Ontario to respect the moratorium called by the people of Grassy Narrows so that their rights would not be further eroded by continued large-scale resource extraction activities taking place against their wishes. We have campaigned for justice for the people of Grassy Narrows throughout this decade. Despite important breakthroughs, the people of Grassy Narrows are still struggling to protect their land and environment.